Leading external timeshare exchange program Interval International (II) has recently welcomed Sunrise Suites by Lifestyle to a long list of affiliated resorts within their network. The mixed-use, all-inclusive property is located in popular Puerto Plata, Dominican Republic which is loved for its outdoor attractions. 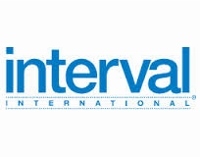 New ownership purchasers at this Lifestyle Holidays Vacation Club location will be enrolled as individual members of Interval International and will hold the Interval Gold membership level. This recognition allows owners to trade with more comparable vacations within the II network. Those who stay at Sunrise Suites will find there are a number of on-site amenities including 15 bars, beach bar services, live entertainment, 10 a-la-carte restaurants, two buffet restaurants, a world-class spa and wellness center, multiple swimming pools, tennis courts, a marina, and more. The resort is located in the center of all the fun and just a few minutes from the city’s most famous spots like Malecon boardwalk, Ocean World Marine Park, Isabel de Torres mountain, and Fort San Felipe. In addition, there are a number of popular activities available just a few minutes away such as snorkeling, ziplining, golfing, and deep-sea fishing. In addition to the higher exchange value, Sunrise Suite owners will also have the chance to enjoy other Interval Gold benefits and services. This includes Interval Options, ShortStay Exchange, Golf Connection, Hertz Gold Plus Rewards, and a number of other membership discounts. To learn more about Interval International, please visit their official website, or visit Lifestyle Holidays Vacation Club’s website to learn more about Sunrise Suites.